If you share your home with a dog, your hardwood floors probably have more than one noticeable scratch, but scrapes and nicks aren't just a problem for pet owners. They can occur even on the toughest finishes when you move a sofa or unwittingly drag a stone under your shoe. Nicks and scrapes that haven't penetrated to the wood are the easiest to repair, but there are simple solutions even for deep gouges. Note: If you have prefinished flooring, contact the manufacturer for repair recommendations. The tough aluminum oxide finish on prefinised flooring often requires professional expertise, and major repairs to flooring can void its warranty. 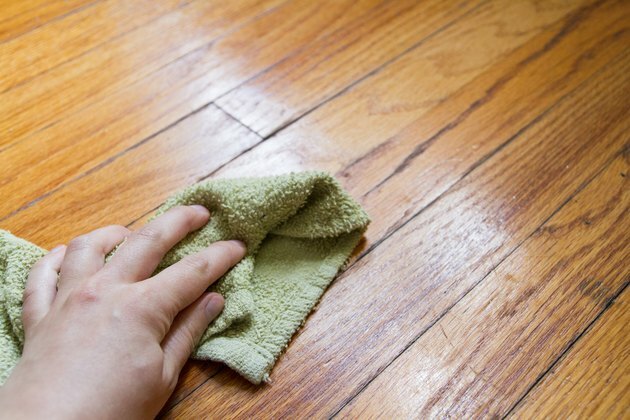 Surface scratches are a nuisance, but you can often ignore them if they are short and run along the grain of the wood. Long ones and those that run across the grain are harder to miss -- they often show up at certain times of the day when the lighting is right. Paste wax or furniture polish can fill the indentation and deflect light to make such scratches essentially disappear. Spread the wax or polish into the indented area and buff it up with a clean cloth. It usually helps to spread the material for a foot or so in each direction from the scratch to avoid leaving a well-defined, shiny area that can draw attention. 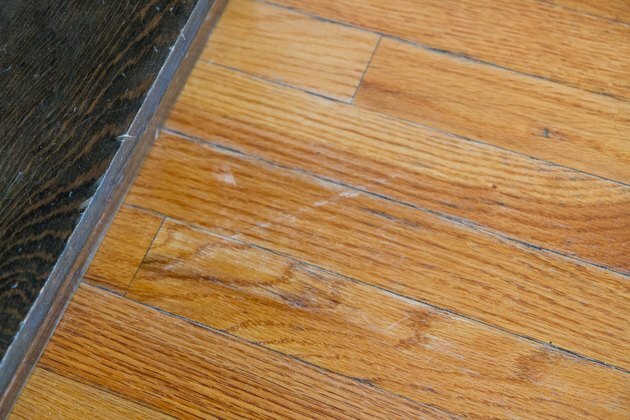 If a scratch is deep enough to penetrate the finish, it becomes all the more noticeable by removing some of the stain from the wood underneath. Replace color with wood stain by rubbing the stain into the wood with a rag and immediately wiping the excess stain off the floor finish. To keep the color from being too dark inside the scratch, avoid saturating your rag -- just get it slightly damp before wiping on the stain. You can also do color touch-ups with shoe polish or a coloring pen -- even a felt-tip marker will work, if you can find one with the right color. 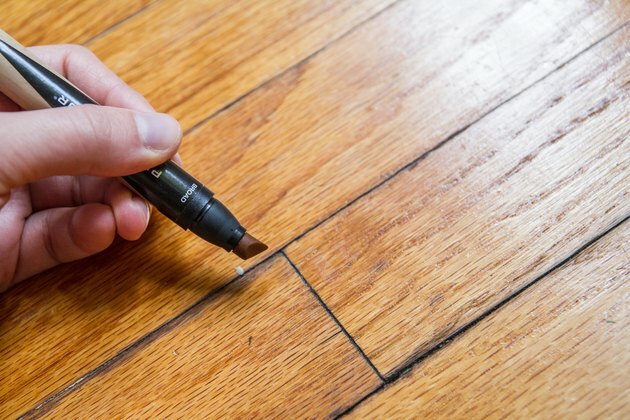 One of the most efficient ways to touch up the finish on a deep scratch is to use a finish-refreshing product, which you can buy at any hardware store. Clean the floor with soap and water before using it, then follow the manufacturer's application procedure. If you have some clear floor finish left over from the floor installation, you can also use that. Wipe on a single coat with a rag, let it dry, then scuff it with 150-grit sandpaper and apply a second coat. If you have to fill deep gouges, use clear epoxy filler or one with a color that matches the floor. Before you call in a professional refinisher to strip and sand your severely scratched floor, consider another option, a professional recoat that's simpler and quicker than a full sanding and refinishing. The process involves "screening," or scuffing, the old floor finish to provide texture for the new finish to bond to. The scuffing is followed by one or two coats of new finish, typically polyurethane. Consult local contractors to determine whether your floor is a good candidate for recoating. If the floor has been waxed or cleaned with oil soap, chances are it cannot be recoated. Tip: Protect your wood floor from scratches by placing area rugs in high-traffic areas and any favorite pet hangouts. 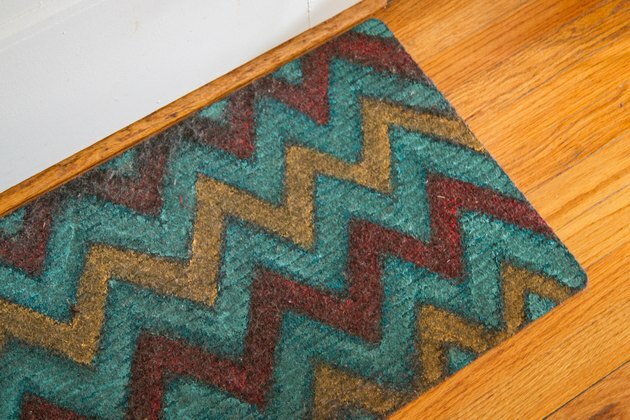 Place welcome mats at all entries to the house; the best types have bristles or other design features that remove grit and dirt from shoes.